Now one year on, it seems time has stood still and the pain is still pronounced in how we cope daily with the loss of our much missed loved one. In order to cope with our loss and absent partner, I have taken the poignant and simple essence of the words expressed in the Poem below deeply to heart. In the hope and expectation that may all these sentiments narrated weigh in as faithful and true, authentic and blessed, by our Heavenly Creator! How can I best describe Trooper? Only one comparison will do my description of this amazing human being and brave soldier justice by saying that ‘he was my Andalusian super stallion extraordinaire’… A perfectionist (in all that he undertook in his life) and reflecting a tough disciplined seasoned soldier’s surface exterior, he was as ‘flowing toffee caramel’ on the inside, and that coupled with an amazing sense of good humor. Looking Back to the year 1990 and onward, Trooper’s story is unique and Trooper was a unique anomaly of his breed and the Era in which he was raised. In spite of his professional background he was a man capable of great compassion and understanding of those around him. Living on the edge today however, no longer presents an option for fine author ‘Trooper’, who lived in comfortable but necessary seclusion in a remote part of New Zealand from 1984 to 2018. The author only known by his pen name ‘Trooper‘ , was a retired former British ex-Military Intelligence Field Officer and member of the Elite SAS. Also a former member of the Queen’s Personal Bodyguard, often referred to as ‘The Blues and Royals’ (Royal Horse Guards and 1st Dragoons) (a cavalry regiment of the British Army, part of the Household Cavalry, the Author was also a recipient of the Military Cross, Purple Heart, four oak leaves for a mentions in dispatches, and many other military campaign medals for bravery that would make any soldier proud. Upon his retirement from Military Service Trooper was also awarded the OBE by her Royal Majesty, Queen Elizabeth, the long and still reigning Monarch of Great Britain. Trooper took the quill and penned down a series of excellent and exciting action adventure novels. All six novels in the series were written in fiction, however, based the suspense-filled and compelling stories upon factual events and personal experiences during a lifetime of military service in the field of covert intelligence gathering operations. 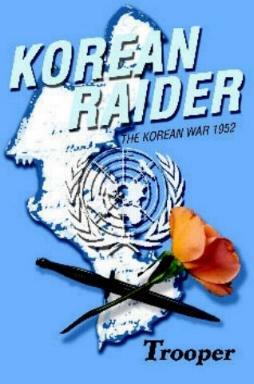 The completed works are now known as the Hawkspurr Action Adventure Series loosely based on factual events that transpired during active service in the various politically challenged countries, Trooper was seconded to the various parts of the world where conflicts reigned, between the periods of ‘1952 to 1982, and can be enjoyed and downloaded from Amazon.com in both paperback/kindle format. I would like to introduce to you an exciting New Zealand Author TROOPER, (British born) creator of the HAWKSPURR Action Adventure Series. Trooper has written a series of Covert Intelligence Action Adventure Adult Romance Novels. The stories, categorized as Fiction are based upon the factual experience of a longstanding career in the British Military as a former Intelligence Field Officer of very high standing. Some of the story content maybe not for the fainthearted, however, these fantastic novels (six in the series plus a seventh on the way) – are a real feast for the imagination. Not only do they make for a memorable read for those keen on Military Covert Intelligence intrigue, but also prove desirable mental stimulation for young people of a legal age. Who are interested in their historical past and welcome informative educational literature on diverse cultures and human behavior, when finding themselves subjected to extreme stressful out of the ordinary conditions. The names of all the characters featured in all his novels are fictitious but based on real people, and only those who read the books and recognize themselves in some of those characters will no doubt smile. The purpose behind the omissions of their true identity was to ensure respect for the individuals, and the consideration of their privacy and security to which all are entitled to; especially for those who served with Trooper on the various campaigns told in his novels. Also, Trooper’s personal sense of preservation and code of honor and loyalty to his Regiment, numerous of the more significant incidents he has been involved in and fall under the Official Secrets Act, have been withheld within the storytelling. Perhaps leaving some gaps however that must be left to the reader’s imagination. So as not to exploit or abuse the privileged position of his rank and loyalty to his Regiment, Trooper has always jealously guarded and respected the highly sensitive aspects of the many incidents he has been involved in, binding him to his military obligations during his lifelong service to Queen and Country and in his very retirement from service. However, the novels nevertheless regale much of Trooper’s personal experiences in the field. So, if you ever wondered what the life of a professional soldier was like, especially one, who served in the Elite British S.A.S., let me invite you for a peek in to find out more about a most entertaining and compelling series of Novels, written and based upon the life-long career of one of such fine professional and above all humble and loyal soldiers. NYLES ST.JOHN HAWKSPURR is the main central character of the Series and is a representation of one of these extraordinary Professional fighting man described within the stories. Let us take you on a fascinating journey and discover ‘the soldier, and also the man’ as you lose yourself within the storytelling. Discover how Hawkspurr performs his important assignments and highly covert duties in faraway lands. Assisted by a close band of other elite soldiers in his troop under his command, when seconded to politically challenged continents where their professional expertise in military strategies was in great demand. In countries where guerrilla warfare and genocide go hand in hand and was then and still remains to pose as a mere daily occurrence today. -And finally, and more importantly, enjoy the thrills experienced by the different women Hawkspurr meets along the way, and the lovers that colored and enriched his personal life, when off-duty. The Hawkspurr Action Adventure Stories were created and written as fiction – however as aforementioned, were based on some of the events and highlights, and real-life experiences of this now retired Professional soldier. Some of the incidents can never be told, not even in fiction for all of the obvious reasons; and so as never to jeopardize the safety or reveal the identities of those he worked with. These wonderful books make for great reading for both young (of legal age) and older readership alike, irrespective of one’s literary tastes and preferences one may be partial to. For the mature reader, these great and informative novels offer the reader an opportunity to discover just what it was that men of Hawkspurr’s caliber fought for, and what they looked for when on ‘Leave’, leaving behind another successful campaign, and what they did for entertainment and relaxation lol! For younger readers, it provides an eye-opening epitaph of history and serves as a true educational opportunity whilst still being able to lose oneself in the intrigue, suspense, and excitement. It will also bring home the realization of just how fortunate so many of us today are, and to be living in a free and liberal society. Not just another war story, but the coming of age of a young man seeking romance and love outside of a bloody conflict. Hawkspurr is serving with the Household Cavalry in London, England, and at the age of nineteen applies for active duty with a unit fighting in Korea. Recruited for service with a South Korean Guerrilla group operating behind enemy lines, he captures the man destined to be his antagonist over the years ahead – Von Harzburg. Hawkspurr is wounded and evacuated to a military hospital in Japan, where he spots Harzburg who has escaped from custody. Following him to Hong Kong he locates Harzburg but the German eludes him. He tracks Harzburg to Germany and chases him on skis to a village where he is captured. Hawkspurr is released but ambushed by border guards and after a firefight escapes safely to England. Some of the daily challenges deep jungle combatants need to face, and if soldiering is your choice of profession. First Ever Malayan Dense Jungle Drop made by 22 SAS Para Troopers – Led by Trooper. Due to a number of unprecedented and unpreventable mortalities suffered, the project was abandoned. This novel follows the adventures of Nyles St. John Hawkspurr, as he serves with the elite Special Air Service. He is proud to be a member of the Household Cavalry, but during the celebrations for the Coronation of the new Queen, he enjoys the parties, and sexual favors offered by titled ladies, and actresses alike.Hawkspurr learns that an old adversary from the Korean War, the German Agent Gunter Von Harzburg, is now advising the communist terrorists in Malaya, and he volunteers for the S.A.S. MALAYAN SCOUTS who are actively engaged in the jungle war. During specialized parachute training in Singapore Hawkspurr meets the Chinese Woman Detective Jennie Koo, and manages to find romance again. He is then assigned to protect a future leader of the country, on the island of Penang. A parachute drop into the jungle brings Hawkspurr and Von Harzburg together once again. Once more the author captures the authenticity of the land, its peoples, their food, and the lifestyles of primitive aborigines. Descriptions of parachuting techniques and SAS operational methods are thrilling in their reality, and the jungle with its creatures comes graphically to life for the reader. Spiced as always with humor, and non-stop action. Includes an account of the 1956 invasion of the SUEZ CANAL. With a murderous conflict in Cyprus coming to a head, Nyles Hawkspurr and his S.A.S. Troop of specialists are posted to this lovely island to hunt for the elusive General Grivas, leader of the EOKA terrorist organization in the mountains. On a covert assignment, Hawkspurr must first journey alone to Spain, to eliminate a Greek arms dealer who is supplying weapons to the terrorists. After a successful operation, Hawkspurr has a romantic interlude with a wild Gypsy dancer but is later arrested by Spanish police unsure of his identity. Later, with help from the Gypsies Hawkspurr escapes by boat to Gibraltar. Reunited with his men Hawkspurr seeks out and destroys the enemy in towns, villages, and mountain hideouts, and yet still finds time for romance with Greek and Turkish women alike. When the Egyptian government under General Nasser nationalizes the Suez Canal, Hawkspurr enters Egypt clandestinely to gather information. During the Anglo/French invasion of Suez, he leads a special unit of his own men and French Foreign Legionnaires on a parachute raid to a canal installation. For the thrilling climax, Hawkspurr returns to Cyprus. Major Nyles Hawkspurr and his former SAS soldiers are hired to lead an elite unit of native commandos against brutal rebels hiding deep in the jungles of the Dark Continent. 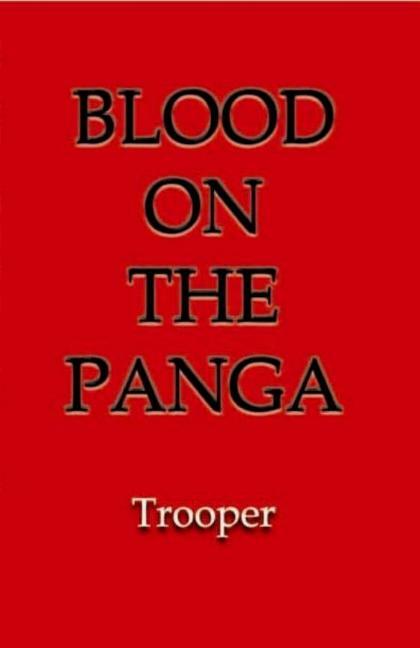 Not a story for the faint-hearted, but an authentic portrayal of guerrilla war and high action adventure in central Africa.Murder, political intrigue, betrayal – and a little romance! Narrated graphically in the distinctive style of this popular military author. As always, the author draws upon his own experiences as a professional soldier, for the exciting action and locations, which are authentic, and colorfully descriptive. Around him lay his Comrades, fallen where they were slain….. They had gathered here for one last fight before their spurs were hung. Each for a reason yet untold, madness, glory, or the lust for gold, or fame…..
No medals or glory, yet oft the blame from a Nation emerging from their flame. Emily McKerrow is a senior army nurse from New Zealand, serving in Saudi Arabia at the start of the Gulf War, 1991. Beautiful, intelligent and dedicated, Emily is introduced in London to the charming Captain Hugh Buckfast, an officer of the Grenadier Guards with whom she falls in love. Emily’s ambulance becomes lost in the desert during a storm and is found by a SAS patrol, commanded to her surprise by Hugh Buckfast. Hugh is furious at having his operation compromised and treats Emily with disdain. Emily meets an intimate friend from university days currently employed by the Saudi Arabian government and the two renew their relationship. In the meantime, Hugh Buckfast has been seriously wounded and captured by the Iraqis. Emily is summoned by Allied Commanders and asked to join a mission and render medical assistance. Guided by Bedouin tribesmen in company with the mysterious Colonel Nyles Hawkspurr, they cross into Jordan and operate on Hugh after a SAS team rescues him. Many adventures befall the team as they journey south through historical Jordan disguised as Bedouin, and pursued by Iraqi agents. Action, passion, jealousy, intrigue, murder, and personal conflict set against a backdrop of war. 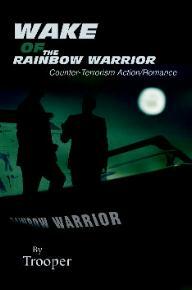 Colonel Nyles St. John Hawkspurr is a retired SAS officer outraged by the bombing of the Greenpeace vessel ‘Rainbow Warrior’ in Auckland Harbour, and the premature release of the convicted terrorist. He decides to bring the perpetrator back to complete his sentence, and to this end decides to gather his old comrades to assist him. He then learns that the mastermind behind the operation is an old antagonist, Gunter Von Harzburg and vows to bring him to justice in New Zealand. His travels and subsequent adventures take him to Australia, Hong Kong, Borneo, Kenya, Italy, Cyprus, Jersey, France, Egypt, and the Sudanese desert. Thrilling in its authentic action, with a romantic element, descriptions of indigenous peoples and their lifestyle, and real-life characters to satisfy the most discerning reader. Other Duties Members of the Queen’s Household Cavalry are called upon to perform during their lifetime of service to the Queen, is to be ready to serve on various assignments not alone in times of peace, but especially in times of global conflict. Below find some interesting links to our modern day Queen’s Household Cavalry personnel and their intense and full on professional commitments under which they serve their Queen, the British Monarchy, and in part, their efforts are as far-reaching an impacting on the world as a whole. We will be together forever into endless time, and I am awaiting with pressing angst to hold you close into my arms enveloped once again; so together within the embalming and rapturous Light of the Divine we can shine! I recall your confusion and your heartfelt sadness to see me disintegrate on my rapid decline, as I had lost the heroic battle and even the very Will to live; but understood you put up a brave face for the both of us to re-enforce the optimistic belief that, I was indestructible and would surely overcome this harrowing fate! But my time was up and on borrowed time, I was an old man who felt weary and spent well long before these adversities your husband came to overwhelm, but you never realized and were the reason I kept hanging on to that silver thread of life, so I could hold you and love you for the more as time would permit; for you then and now are my life! So know this and remember, when you’re lonely and down, you will always have all of me and my heart and my love in your life and you can wear it like a splendorous crown so well deserved for all those wonderful good times, and I shall keep constant vigil over you forever my beautiful wife, until you are ready to come fly home to me; where I am waiting to greet you at the splendorous heavenly gates, and its life giving vines! Yet, no matter how uncanny your visits when they materialize, I still need that constant reaffirmation that it’s really true? I wish to show you of my eternal affection and loyalty too, and reassure you I shall never stray from my noble goal to be reunited soon with you, and for which I strive. You are the one who has my unwavering devotion, undivided and eager I stand, for as true soulmates we loved and lived as one flesh for 4 scores of 10 plus 7 of the best golden years of your past; so I am but one half of your person now while still here, and you still are only one half of me over there. My brimming abundance of love felt for you and my loyalty into perpetuity remains steadfast and true, and once in a while as I am left in suspension in one of my wistful dream states, I yearn to caress your strong and handsome subliminal etched face faintly visible through the veil, no longer lined, nor bearded and grey but clothed with the freshness and strength of sheer youth in its prime, for in that place where old age reflects no longer a trace; would you then please enter my sanctuary in the realms below with cautious cognizance and gentility? During those moments of pure bliss and rapturous unification when we meet, then please look away and with kindness remember me as once I was, as my frail flesh and diminishing sinew begins to unravel my real earthly age. So we can still be as one harmonious unit in ‘my here and now’ on those fleeting visits of yours as you hold me tenderly close to your breast and wildly beating heart, and experience all over again that familiar but long missed sweet embrace. To me it is worth such brief and bracing delight and as fleeting as dreams tend to be, and I can almost tangibly taste and sense once again your uniquely scent to memory embedded like an intoxicating sweet summer wine; until such time in ‘your there and then’ you and I can be together ‘as one in spirit’, once again.